So we just released the third development release of Maps in the 3.25 series (leading up to 3.26.0 in September). 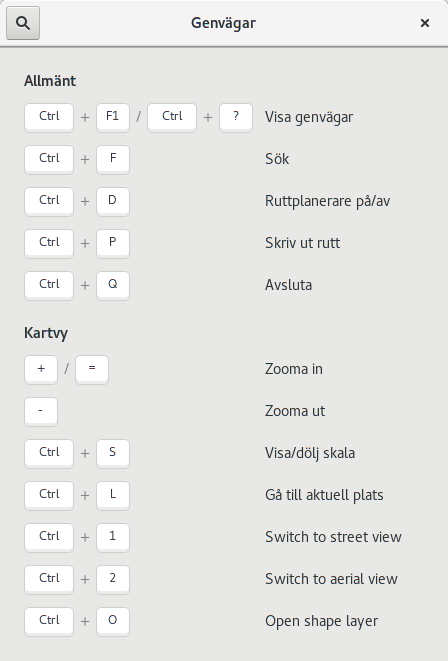 Control and 1 and 2 to switch the view between street (the “ordinary” map) and aerial view (the shortcuts where inspired by Nautilus) and Control+o to open shape layers (we had a bug report suggesting adding this feature, which indicates it might not have been discoverable enough). Using the standard “open a file” shortcut makes sense, since that might be something you may try without thinking too much about it. And ofcourse it will also show up in the help overlay (as pictured above). 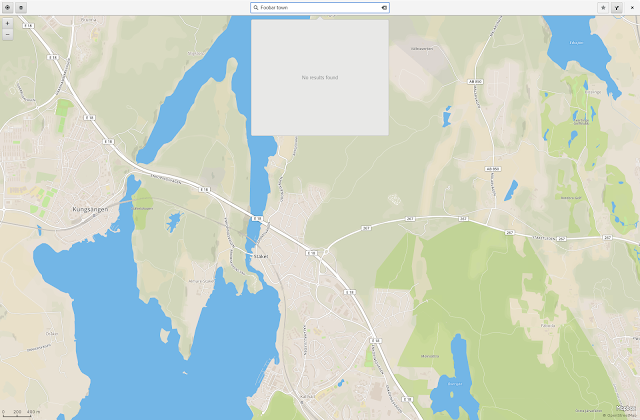 Furthermore, we now remember the mode of transport used for routing between runs, so it no longer reverts to car every time you start Maps (and it also uses the currently set mode when routing to a place from a marker bubble in the view). as can be seen in this screenshot showing results for a bus route which only runs on limited days. We now also, thanks to work done by Robery Ancell, show religion information (for places of worship and book store for example) and information on the availability of toylets (when data is provided in OSM ofcourse). These can also be edited for POIs in OSM. I also managed to do a little mess-up with the “remember the mode of transport” feature, so it was a little broken when currenly using transit and clicking the route button in a place “bubble”. So that has been fixed since in master. 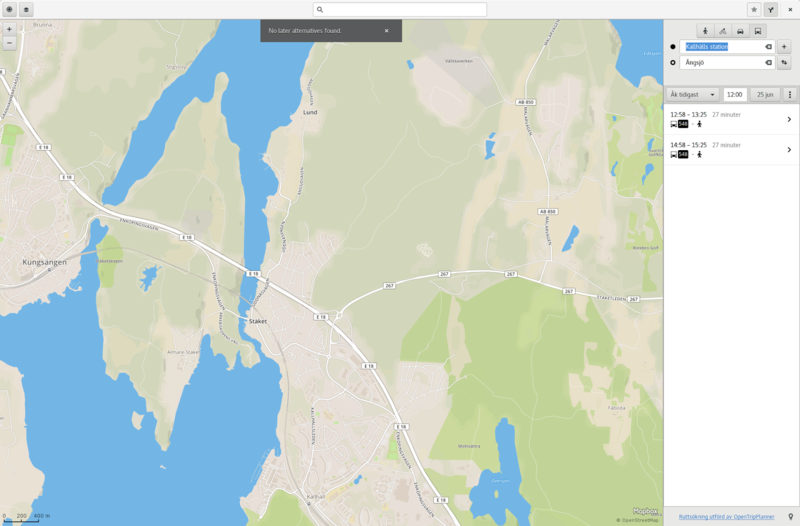 to run gnome-maps in English for your screenshots. Though the new strings are (still) untranslated, in English.